Admittedly, GTP-era prototype racers are bound to be hit or miss. I can't fault a reader for finding them all but impossible to relate to. Sharing roots with modern LMP racing, GTP cars' elongated forms and top-tier nature leave them feeling foreign to many. Even with "Ford Mustang GTP" written across the windshield, it'd be a huge challenge to identify the car's road-going counterpart. The video below, however, offers incredible footage, visuals, and sounds captured from Ford's '83 endeavor into IMSA's GTP (Grand Touring Prototype) arena. 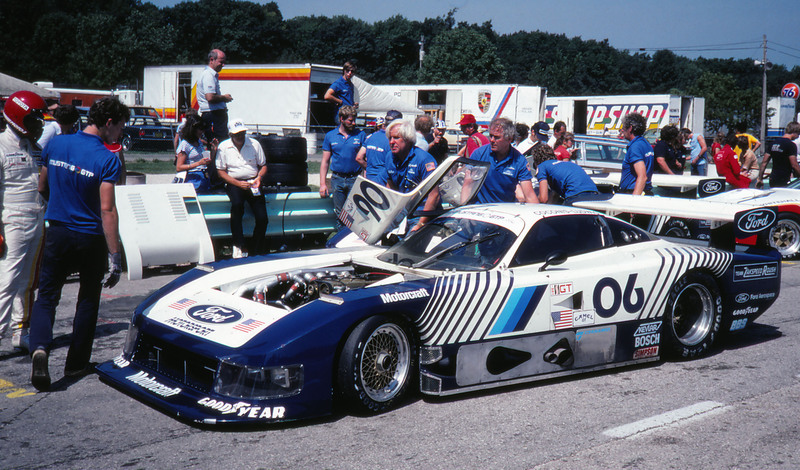 Between the GTP program and the Zakspeed GTO cars, to the ASC McLaren cars and even Ford's Fox Body DTM machines, the '80s Ford Mustangs have some of the broadest and coolest racing history, period. Enjoy this "documentary" that peers into some of the under-appreciated details of the '83 GTP Mustang Turbo.